Very Good. 014024669X ALL BOOKS SHIPPED WITHIN 1 DAY OF PURCHASE! Very Good. 0224040251 ALL BOOKS SHIPPED WITHIN 1 DAY OF PURCHASE! I loved the book. Marquez paints characters that will stay with you forever. An interesting book. I enjoyed it. It has some deep aspects. 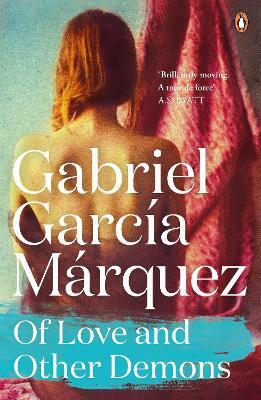 A classic in spanish literature, this book is a must for those who love to be wrapped around an intense story. A realistic yet fantastic love, Of Love and other Demons talks about the forbidden relationship of a small white girl of 12 cursed of being possessed by a demon, ignored by her family and accepted in the slaves' community and the young right hand man of the catholic leader, the one in charge of freeing her from said demons. Drama ensues. An innocent love, full of irrational ideas and dreams that at the same time describes death, pain, growing up and maturing. Love is simply the sweetest yet worst demon of all.